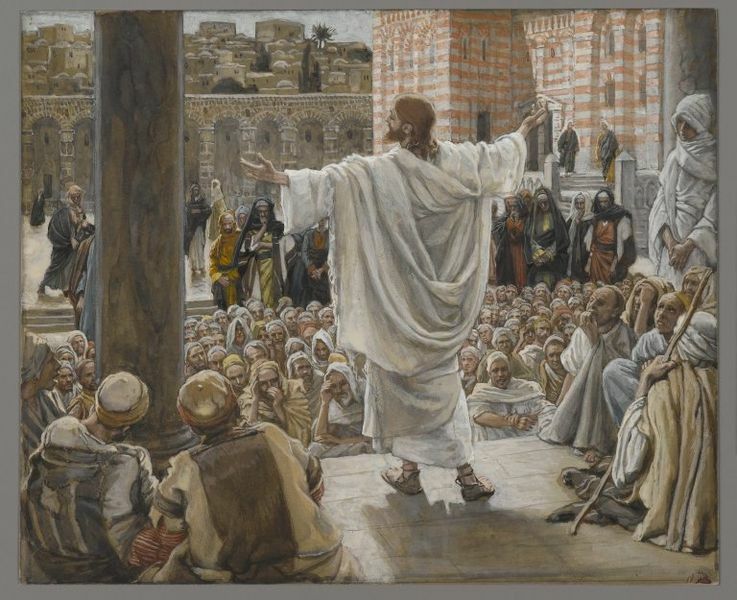 Today on this third day of Holy Week, we see Jesus do some teaching. On Palm Sunday, He entered Jerusalem. On Monday, He cleansed the Temple. Today, He teaches. You can read the totality of His teaching in Matthew 23:29-24:51. 6 And you will hear of wars and rumors of wars. See that you are not alarmed, for this must take place, but the end is not yet. 7 For nation will rise against nation, and kingdom against kingdom, and there will be famines and earthquakes in various places. 8 All these are but the beginning of the birth pains. 36 “But concerning that day and hour no one knows, not even the angels of heaven, nor the Son,[c] but the Father only. 37 For as were the days of Noah, so will be the coming of the Son of Man. 38 For as in those days before the flood they were eating and drinking, marrying and giving in marriage, until the day when Noah entered the ark, 39 and they were unaware until the flood came and swept them all away, so will be the coming of the Son of Man. These aren’t exactly “happy” verses. They are tough. They are worrisome. They are even scary. We see Jesus say that a time of judgement will come. And that can be scary. That can unsettling. That can be bad. But that’s not what this is about. Yes, we see themes of judgement here. Yes, we see that God will come and make all things right. But we also see this. It’s going to be alright. Every time in scripture we that notion of the judgement of God and the End of the Age, we see this. Those that believe, those that are part of the covenant community, those that are part of the people of God, you know what? We are going to be ok. We are. We are going to be ok. Yes, this world is passing away. It is. This world is not permanent. It is fading. But you know what isn’t? God. See our hope is not in this world. Yes, I love, love, love this world. Life is great. Life is amazing. Things are awesome. But this world is fading. And there will come a day, there will be a place where there is no more pain, suffering, and death. There is no more sickness. Or loss. Or hurt. Or tears. They are gone and vanquished forever. So today, perspective. That thing that you are worried about, that is taking your joy, don’t worry about it. Seriously. Don’t worry. God has everything under control. Our life is found not the stuff of this world, but in Him. So, today trust. Don’t worry. It’s going to be ok. God has it. Today, you can trust. No matter what.